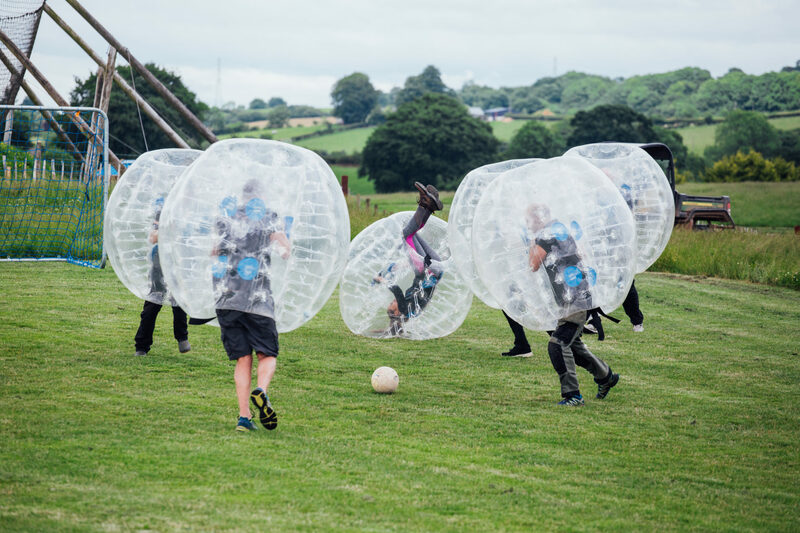 To view a full list of dedicated corporate entertainment packages, including pricing, visit the Corporate Activities page. 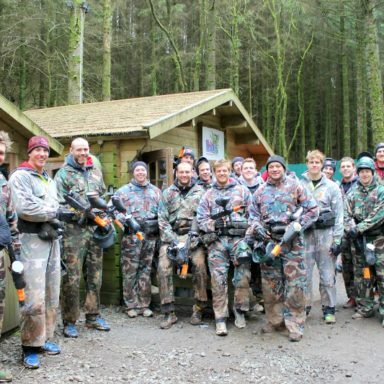 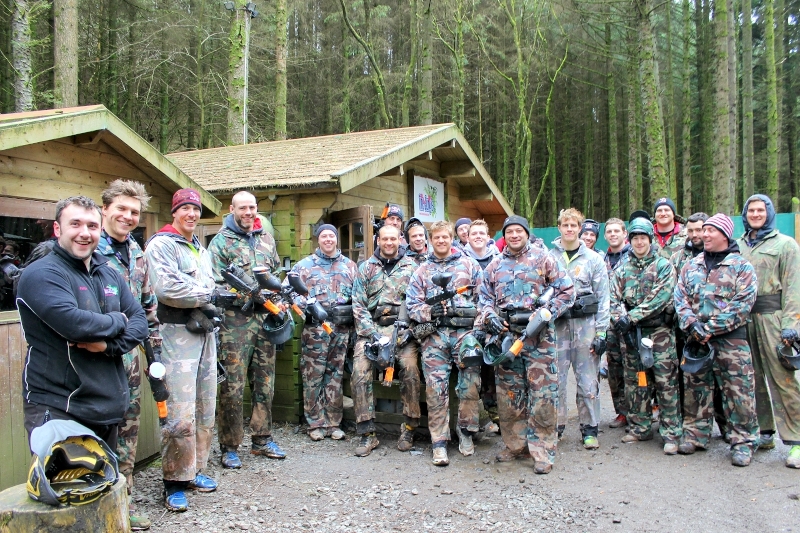 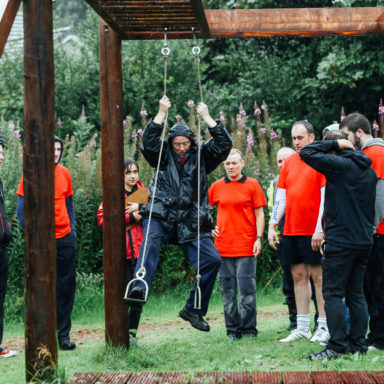 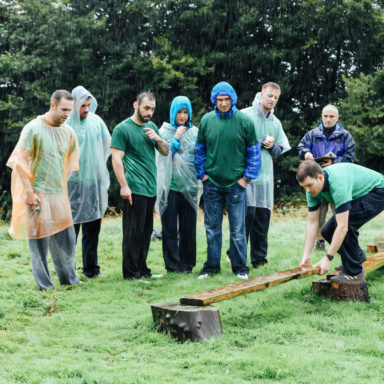 Whether your priority is to energise, motivate, inspire or rebuild your team, the Jungle delivers corporate events and unique adventure teambuilding activities to help achieve those objectives. 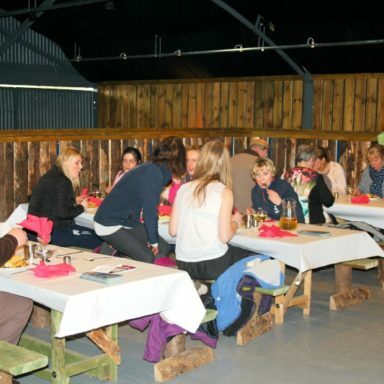 A choice of conference facilities are also available onsite, in addition to funky accommodation and catering facilities. 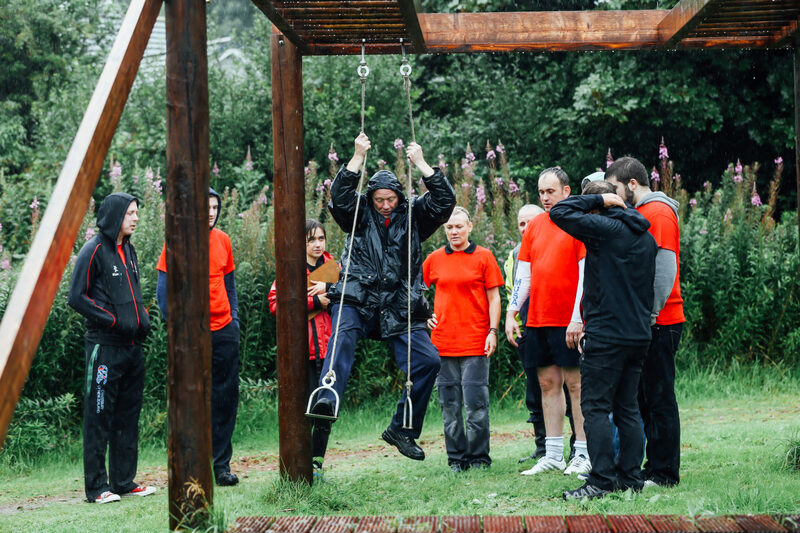 Plus, if you really fancy something a bit unusual and edgy, our I’m a Corporate Get Me Out Of Here! 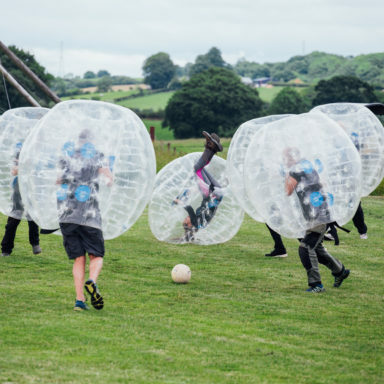 overnight packages have gained a certain notoriety among the office-bound masses. 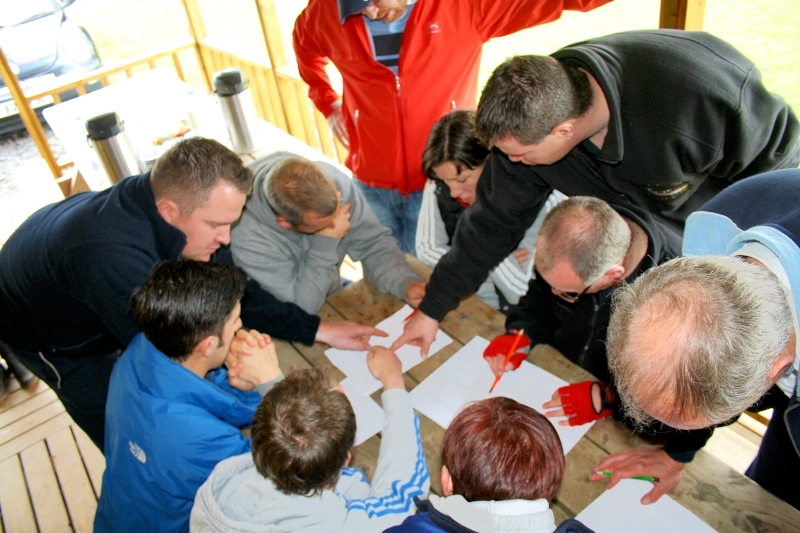 Engage, motivate and inspire your team! 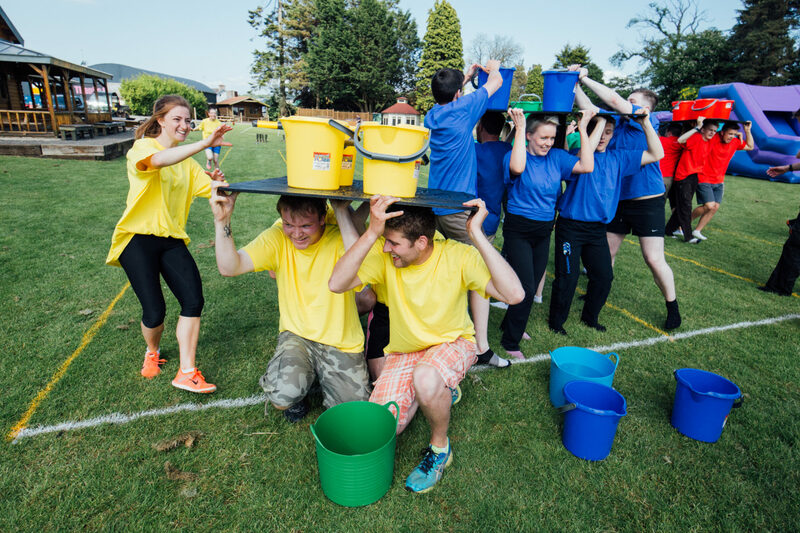 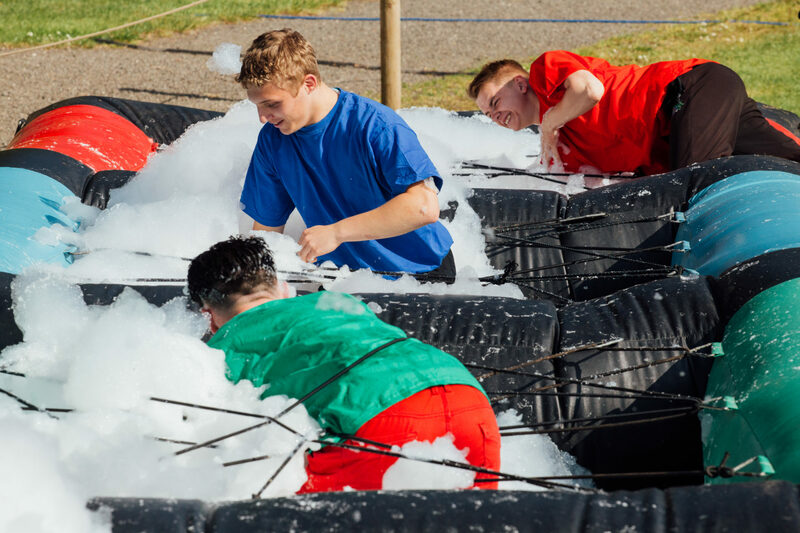 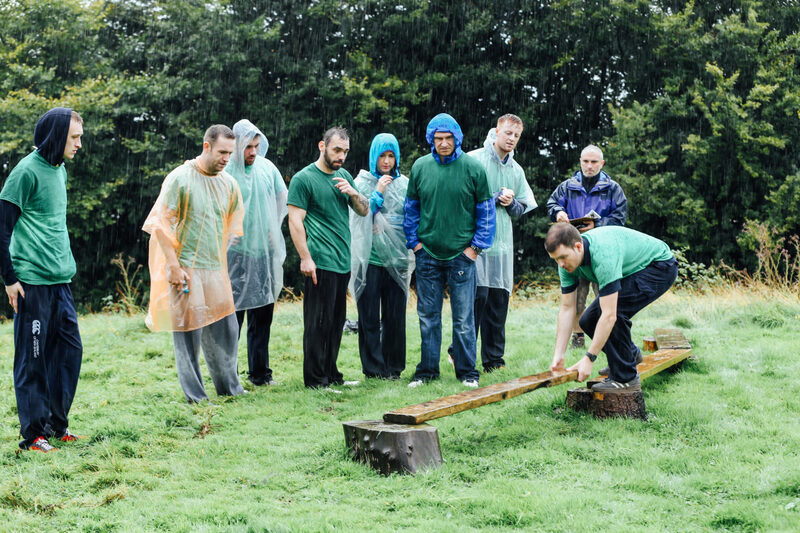 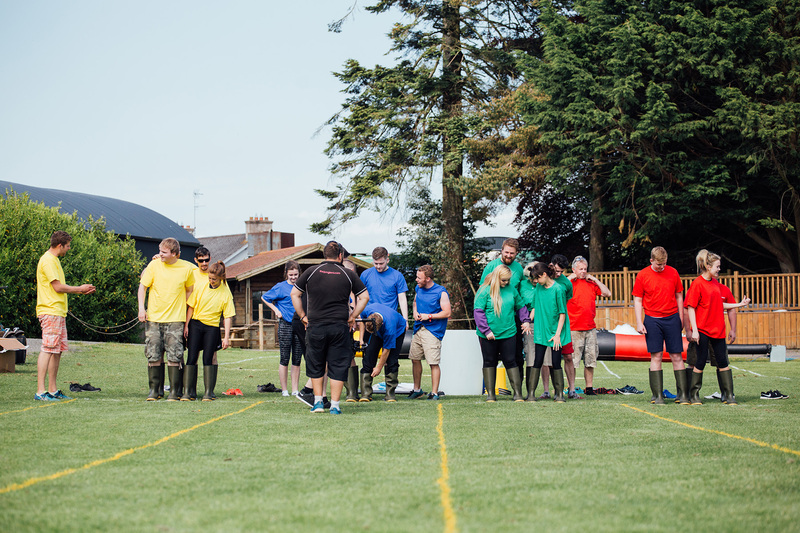 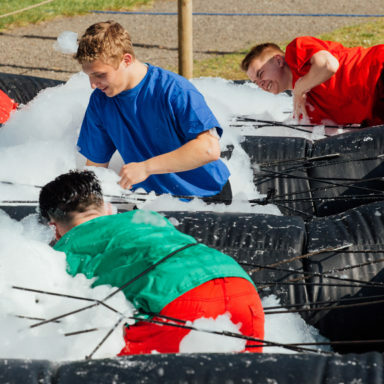 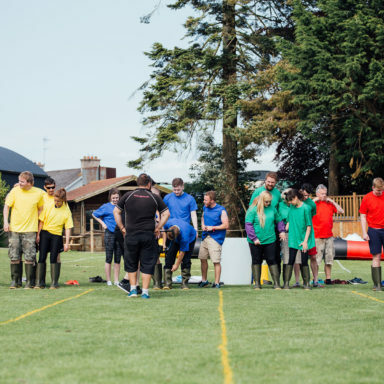 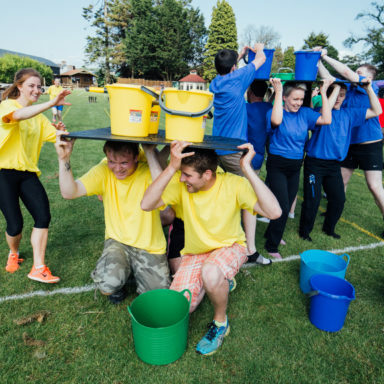 The Jungle’s mentally stimulating and physically challenging Teambuilding Games are specifically designed to create an engaging, motivating and inspiring corporate event for your team. 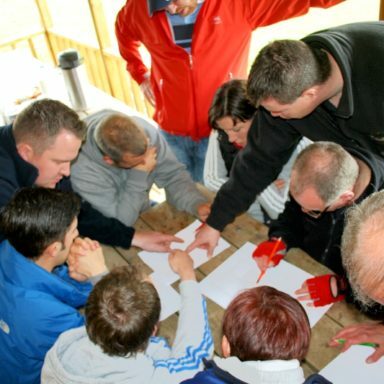 You’ll work together to discover new approaches to problem-solving, hone or further develop new skills, and emerge a more efficient and effective workforce. 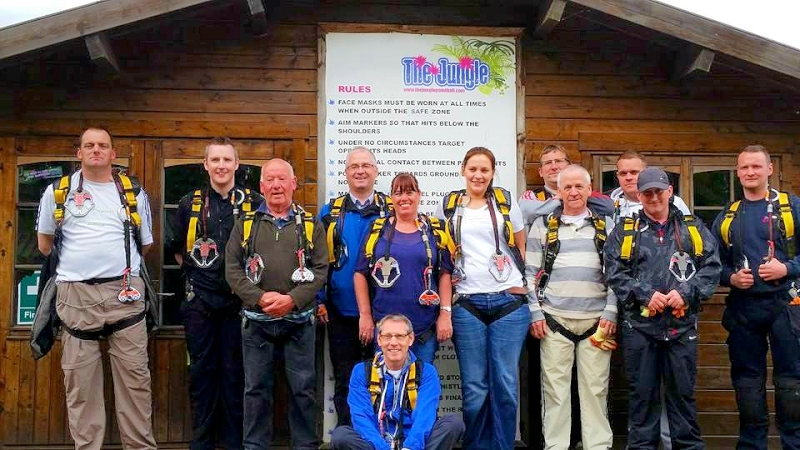 Why choose the Jungle for your Corporate Event? 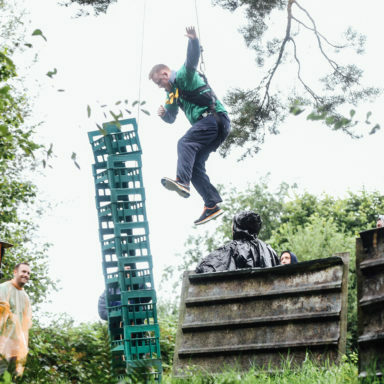 The Jungle has a significant history of successfully facilitating unforgettable and highly effective corporate entertainment and teambuilding events. 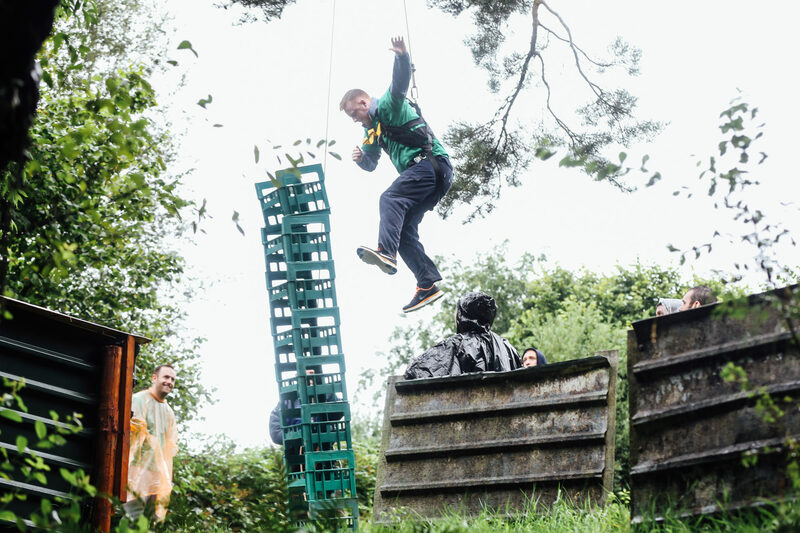 Always a one for firsts, the Jungle guarantees originality, and offers unique activities in naturally beautiful surroundings, delivered by fully-qualified fun and friendly Jungle staff. 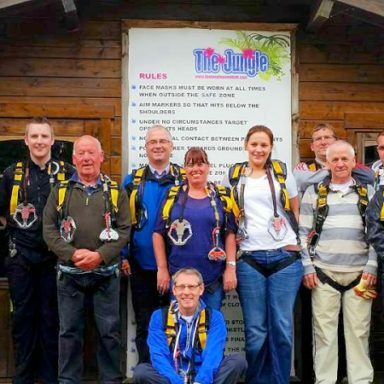 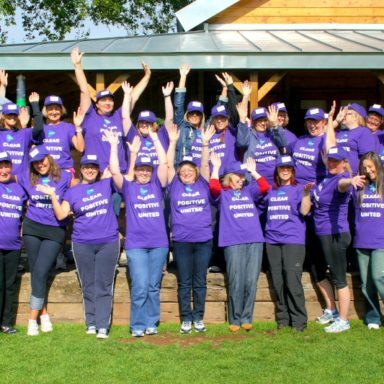 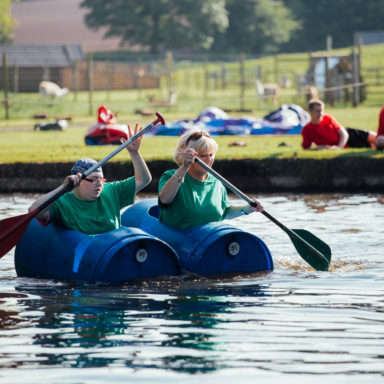 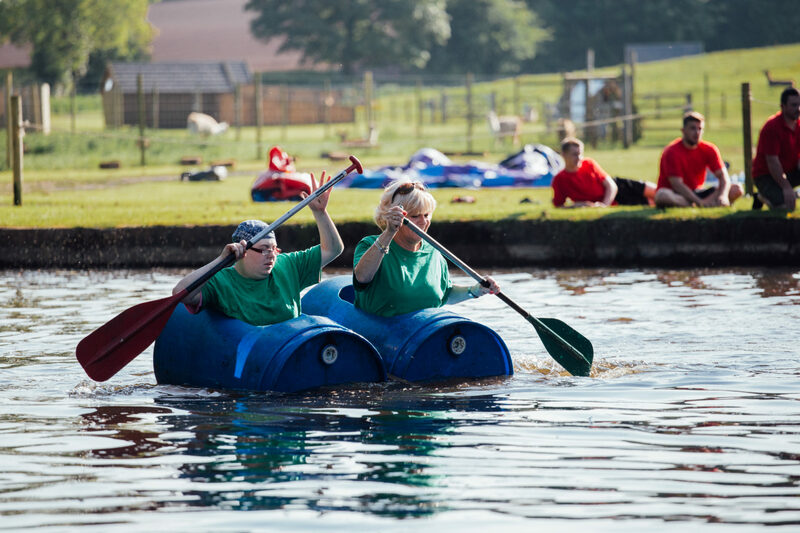 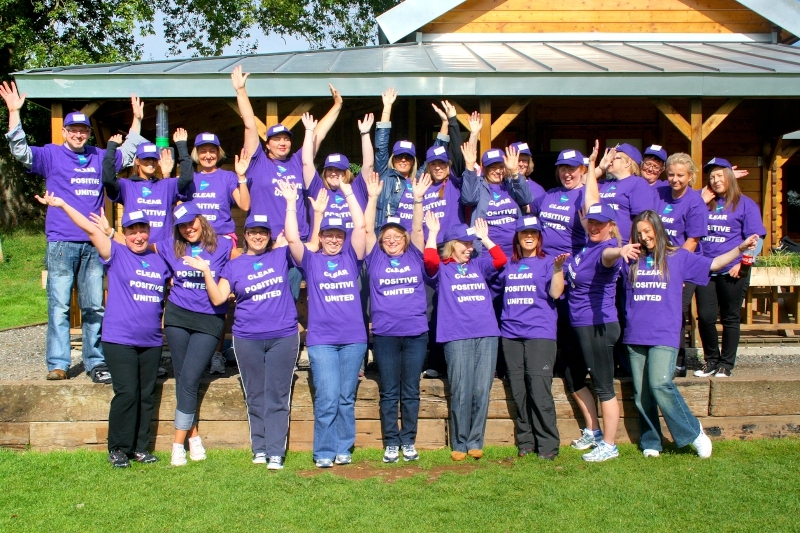 We are Adventure Mark Accredited, meaning that all activities and events are delivered in a safe and controlled environment, and with the fun and friendly bunch of Activity Instructors on hand you’re guaranteed a fantastic day! 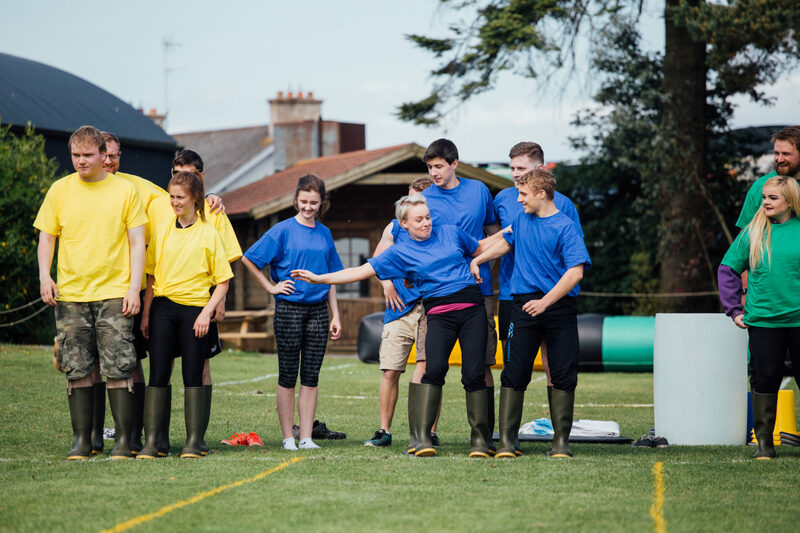 Please email bookings@thejungleni.com with your organisation’s name, address and contact details, along with the dates you would prefer, the rough number of participants, and some indication of the group dynamic. 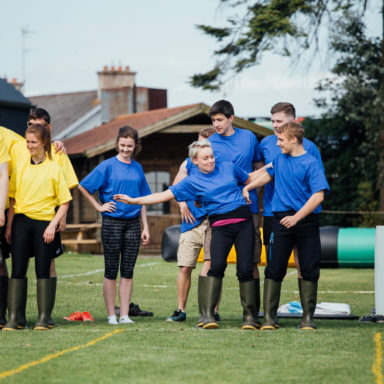 We will return with a quote, including corporate package list and food options, and then work with you to fine-tune the final arrangements to your exact needs. 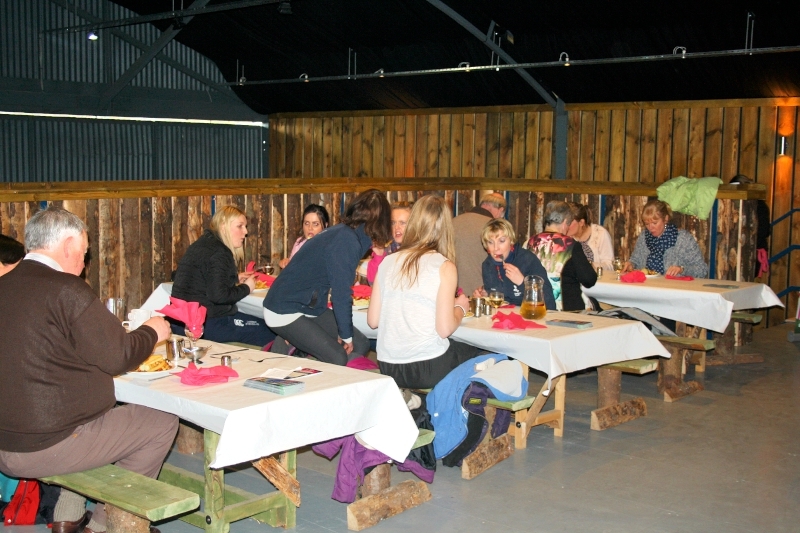 Please email bookings@thejungleni.com for details of all our corporate packages.